One of the most scathing rebukes of the collecting practices of American museums in recent memory came not from a grumpy archaeologist, a nosy journalist or an overzealous foreign prosecutor. It came from one of the museum field’s rising stars: Getty antiquities curator Marion True. 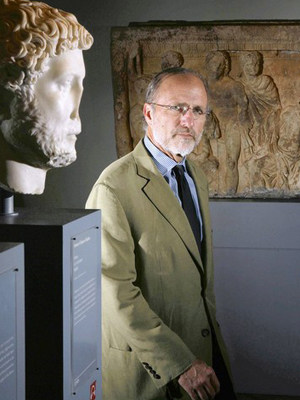 In June 2000, True delivered a gutsy speech to an audience of museum peers that denounced them for relying on “distorted, patronizing and self-serving” arguments to justify their collecting of ancient art. Over the course of the next hour, True dismantled the various justifications museums had long used to buy ancient art that was almost certainly looted. The speech, whose full text we’ve posted and annotated here, is remarkable not just for True’s scathing remarks but also for their venue: the annual gathering of the Association of Art Museum Directors. The group is the museum profession’s most powerful, consisting of representatives from the country’s largest and wealthiest collecting institutions. As such, the AAMD wields immense clout on matters of institutional policy, including collection practices. 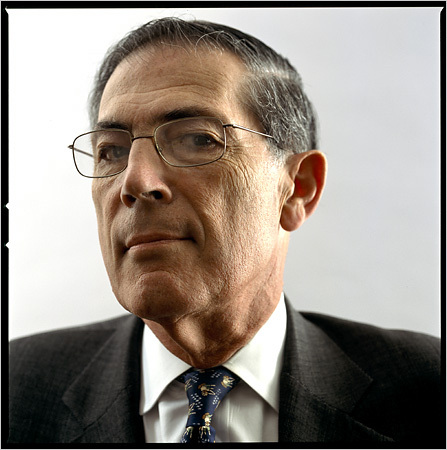 Under the sway of former directors Philippe de Montebello of the Met and James Cuno of the Art Institute of Chicago (now CEO of the Getty), the AAMD had long resisted the 1970 UNESCO Convention, which calls for import restrictions and international cooperation to stop trafficking in illicit antiquities. Instead, AAMD’s guidelines were riddled with caveats and loopholes that allowed member institutions to buy undocumented antiquities as long as the pieces were artistically “significant.” In her speech, True was calling out the power structure of American museums. Her speech was inspired by an earlier panel at Columbia University on the Elgin Marbles. The discussion “had nearly devolved into a fistfight” when a fellow panelist suggested the Parthenon sculptures needed to remain the British Museum because the Greeks were “unworthy custodians and therefore did not deserve to have it” [sic]. “As the three front rows of the audience were primarily of Greek nationals or Greek Americans, this statements did not go down very well,” True noted dryly. Next, she turned her sights on dealers and collectors, who still “vehemently denied” the extent of looting that has been clearly documented by archaeologists and governments. Their claims that the illicit trade was small were “contradicted by the evidence,” including their own political machinations to gut American laws prohibiting the import of such objects. It was time to accept that most undocumented antiquities came not from “old European collections,” as dealers and museums were fond of claiming, but from recent chance finds or illegal excavations, True said. Likewise, the claim made by Sothebys and other auction houses that sellers preferred not to reveal provenance information “flew in the face of logic” because such information would only increase an object’s value. And the common practice of asking governments for evidence of whether a piece had been looted “conveniently ignores” the fact that, by definition, such objects are “undocumented,” she said. She concluded with a knock-out punch: “Most museums have long preferred to consider objects innocent until proven guilty,” she said, citing the Getty’s own 1987 acquisition policy and the writings of James Cuno while at the Harvard Arts Museums. “But experience has taught me that in reality, if serious efforts to establish a clear pedigree for the object’s recent past prove futile, it is most likely—if not certain—that it is the product of the illicit trade and we must accept responsibility for this fact. In one fell swoop, True had laid bare the cynical path of many museum masterpieces—a path few insiders had ever been willing to publicly acknowledge. But as powerful and succinct as True’s presentation was, her listeners could have been forgiven a measure of skepticism. While it represented one side of Marion True – the crusader for reform — they knew another: the accomplished curator and competitor who for a decade had used those very same tactics to fill the Getty with some of the best undocumented pieces in the world. Indeed, True’s intimate knowledge of museums’ efforts to navigate the illicit trade was based on her personal experience. As it happened, the day after True gave her speech a judge in Switzerland ruled that Italian officials could take possession of hundreds of Polaroids and documents that had been seized in a 1995 raid of an antiquities dealer’s Geneva warehouse. 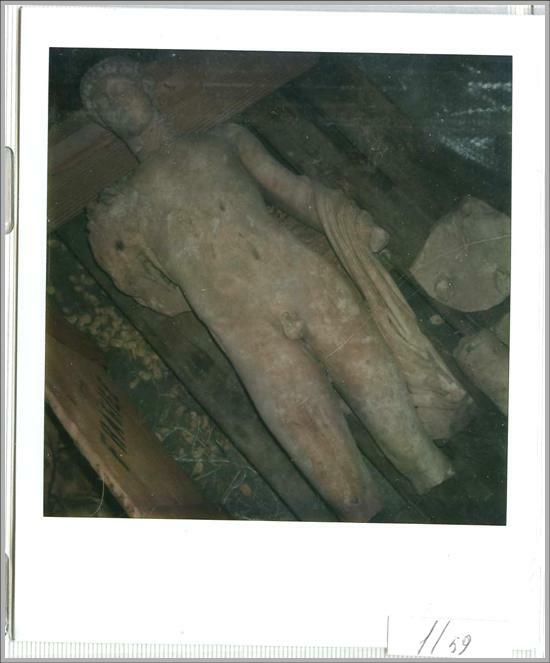 The Polaroids showed scores of looted artifacts as they appeared fresh from the ground. Eventually Italian investigators traced the greatest number to the Getty and Italian prosecutors started planning a prosecution of Marion True. Among their best evidence, he noted, would be True’s own 2000 speech before her peers at the AAMD. This entry was posted in Hot Docs and tagged AAMD, antiquities, archaeology, Art Museum Directors, Elgin Marbles, Getty Museum, illicit antiquities, Jim Cuno, looting, Marion True, Metropolitan Museum of Art, Philippe de Montebello. Bookmark the permalink.